Engine No. 114 was built in 1940 by the Electro-Motive Corporation (EMC) of General Motors for the Lehigh Valley Railroad (LV). After many years on the LV, it was sold to the Maryland Port Authority and worked as a dock switcher for a number of years in Pocomoke City, MD. In 1974, No. 114 was moved to the Ocean City Western Railroad in Ocean City, MD, where it worked briefly in tourist service, until the railroad closed in the late 1970s. In the early 1980s, the Wilmington & Western went looking for another diesel locomotive and found the 114 in storage on a siding in Snow Hill, MD. 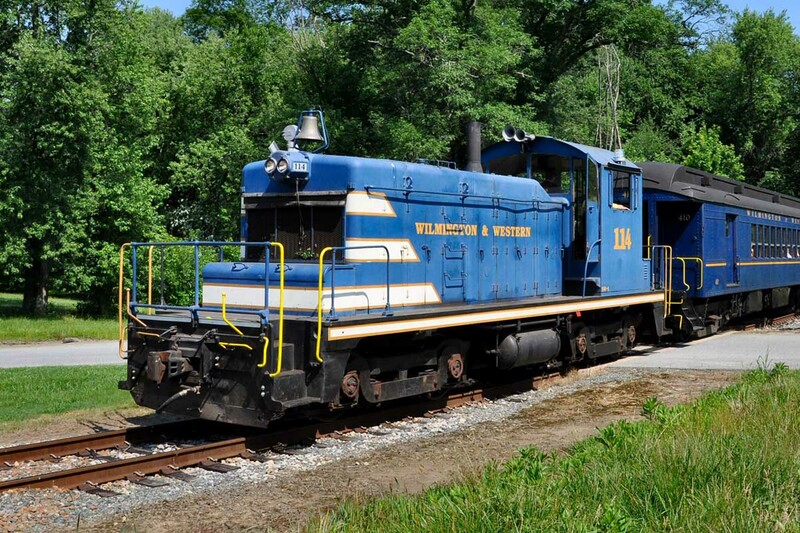 Funds were not available at the time to purchase the locomotive, but two Wilmington & Western volunteers, Skip Small and Joe Giacchino, offered to purchase No. 114 and lease it to the Wilmington & Western. An agreement was made and No. 114 was moved to Delaware where volunteers began a long restoration, which included the installation of a new cab floor and windows, extensive body work, re-trucking of the locomotive, and a complete overhaul of the auxiliary generator and electrical cabinet. In the spring of 1992, the railroad's Board of Directors approved a plan to officially acquire No. 114 in trade for diesel locomotive No. 3, an Alco S2. No. 114 entered revenue passenger service on Sunday, September 26, 1993, and has worked in the Red Clay Valley ever since. No. 114 produces 600 horsepower and has a fuel tank capacity of 600 gallons. Engine No. 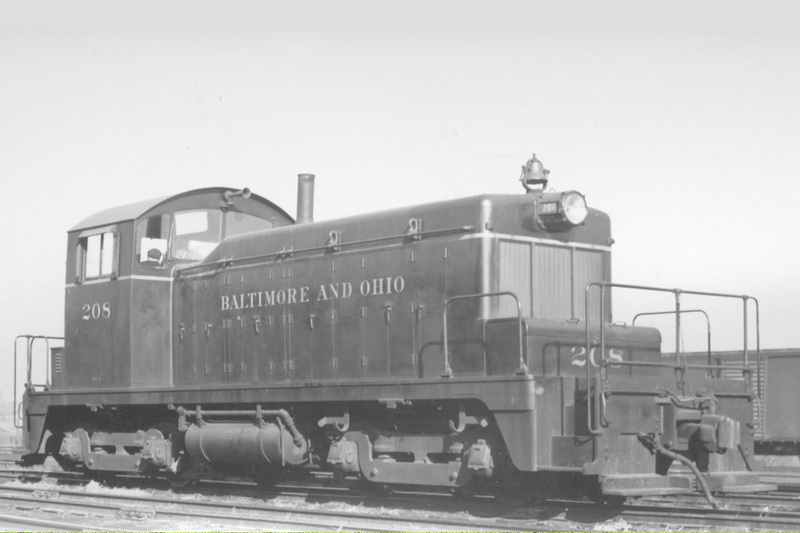 8408 was built in 1940 by the Electro-Motive Corporation (EMC) of General Motors as part of an order of 16 locomotives for the Baltimore & Ohio Railroad (B&O). Originally numbered 208, it was renumbered 8408 in February 1957 and served the B&O in freight service in Wilmington's Wilsmere Yard and on the Landenberg Branch until 1982. It was purchased by the Wilmington & Western in 1982 for freight and passenger service. She is our only locomotive to have served her entire life on the rails of the Red Clay Valley. In May 2010, the HRCV Board of Directors agreed to fund the restoration of No. 8408, and in August 2011, she was moved at the rear of a freight train to McHugh Locomotive & Equipment in Fairless Hills, PA, for a multi-year, $450,000 rebuild. The original 6-cylinder 567-A engine was replaced with a 567-C engine. The air compressor, wheels and electrical wiring were also replaced, while traction motors, radiators and generators were rebuilt. The cab frame was rebuilt and the interior of the cab was refurbished, and new cab heaters were installed. 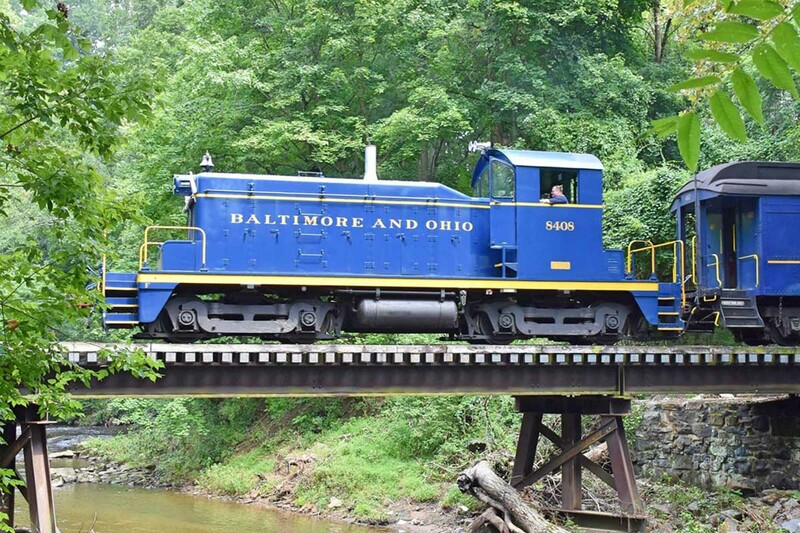 She returned to the Red Clay Valley in early 2016 wearing an authentic Baltimore & Ohio paint scheme and was officially returned to service on May 26, 2016. The 8408 produces 600 horsepower and provides 49,500 lbs. of tractive effort. Engine 8408 carries its original number of 208.